This little black dress is sure to become your favourite! It can be worn in lots of ways. 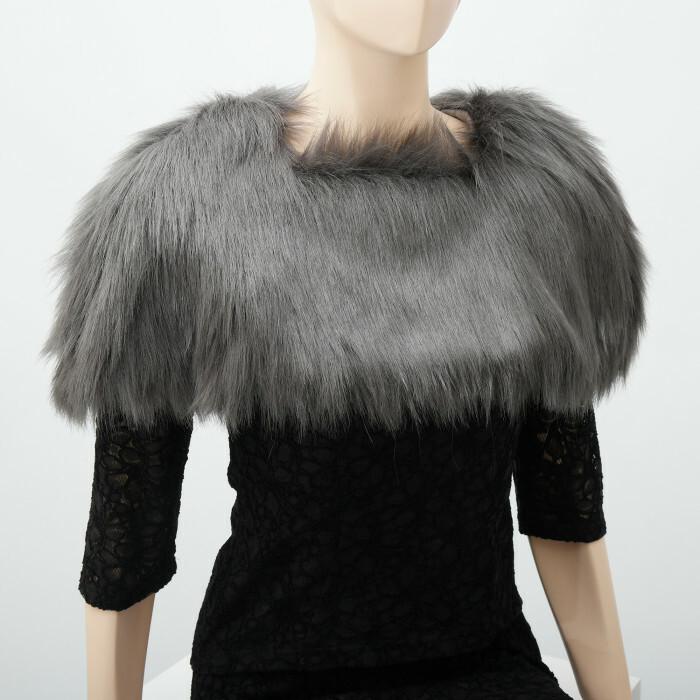 Try adding a fake fur mini cape to come across chic, or look truly casual wearing a sweater or denim jacket over it. Two-part little black dress Sophia in lace with graceful low-cut round neckline, transparent sleeves and knee-length skirt. The skirt is made up of curved panels fitting the seated body. A front skirt decorative trim hides an open-end zipper allowing the skirt to fold open completely. Top with open-end back zipper: no need for the arms to reach backwards in putting it on. Dress made from black cotton relief lace (100% CO) with seat made from smooth, heavy black satin. Lining made from dark grey strech cotton (97 % cotton 3 % lycra ). Cleaning : hand wash recommended using mild, bleach-free detergent. Cool at 30°C (one dot), not tumble-dryable, warm iron without steam (two dots). If your machine has a gentle hand wash program for real delicates, it should be fine — but no guarantees.